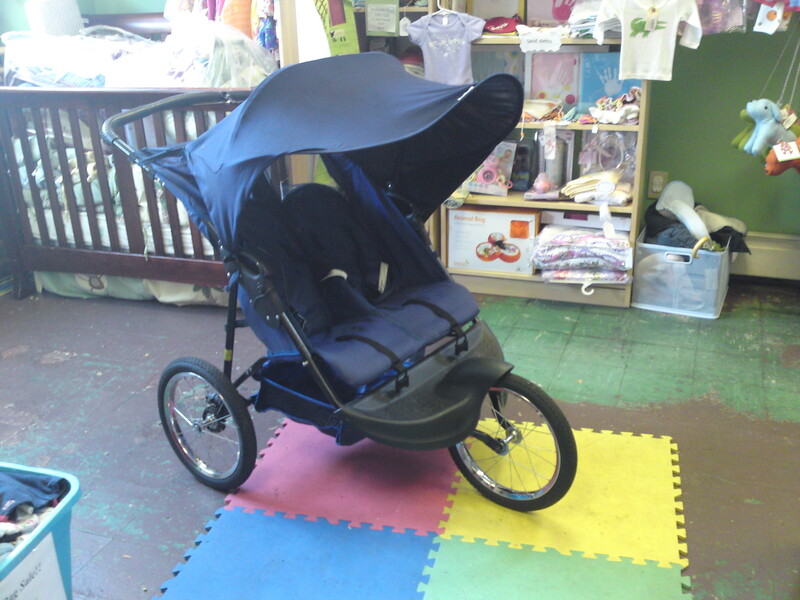 Little Closets: The Long Island City Childrens' Consignment Boutique | A place for updates on our items, happenings, and deals! COME SAY GOODBYE AND SHOP THE SALE. STILL LOTS OF AMAZING DEALS LEFT. ALMOST THE ENTIRE STORE IS 75% OFF INCLUDING MATERNITY. NEW GOODS 50%. USE YOUR CREDIT FOR OUR AWESOME LOCAL ARTIST ITEMS, 20% OFF. Last two days of Little Closets:( And the sale…Still many items left, more to come out today, average price $3! French at 11. Use your store credit for our awesome local artist items! We are sad to announce LITTLE CLOSETS will close on AUGUST 22nd. The store was doing well and we are proud of what it did in the community. However, a necessary move because of a job relocation made it impossible for us to continue it at this time. Since the store is closing, hours will be thurs- sat only 10-6. Store closes august 22nd. HUGE SALE: entire store 25-75% !!! A lot went on Saturday so make sure and get into the store early next Thursday, Friday, or Saturday. There is a lot more still in store with a lot of awesome clothing and shoe items 2-5 dollars! OUR HUGE SUMMER SALE HAS BEGUN! COME ON BY THERE IS A LOT OF HOT SUMMER LEFT! News & Notes: Baby Boy, Sales and Photography! Lots of things to tell you since the last installment…. First, we finally welcomed our new baby boy into our family this past week!! Dempsey Francis Frandina came two weeks early, on Monday July 19, 2010, at 8lbs 10 ounces and 21 1/2 inches. Baby and Momma are both doing well, getting some much needed rest at home. To celebrate, all regularly priced boys clothing and shoes will be 30% off, today through Sunday. In addition, we will be adding more items to the 40% off Summer Sale rack (both children’s and maternity clothing) throughout the coming days. And in case you were wondering, the store will stay open during regular hours, so don’t stop shopping!! Second, next Wednesday, July 28th, we will be hosting another free photo session with Arianys Wilson (www.nanynany.com). There will be 5 time slots (1/2 hour each), beginning at 3pm. Email us if you would like to reserve a spot. It’s first come first served, so don’t wait! Thank you for your patience during this time of adjustment. We are slowly making our way through all the emails that have piled up this past week, so please don’t think we are ignoring you if you haven’t received a response just yet! 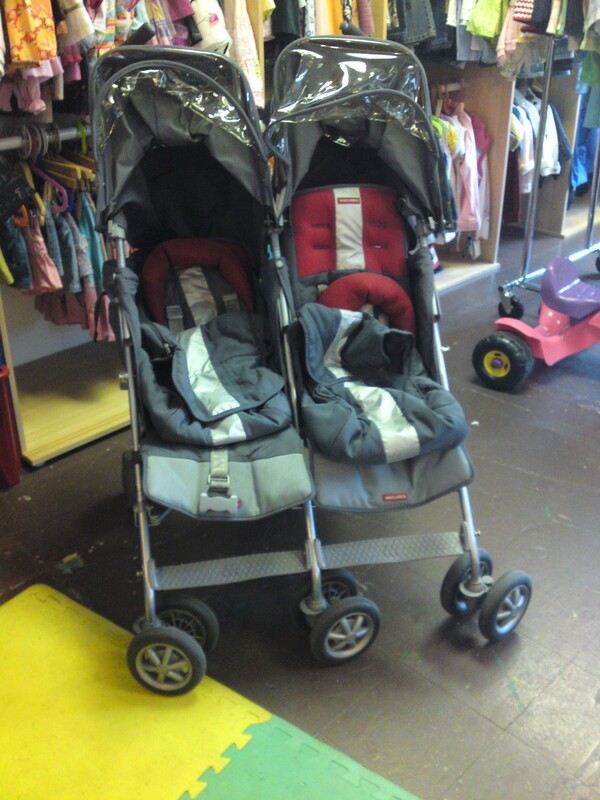 – Grey Maclaren Twin Techno with rain guards and matching footmuffs – the stroller is in great shape! – Baby Trend Expedition double jogging stroller with additional sun shade guard, blue in color, great shape! 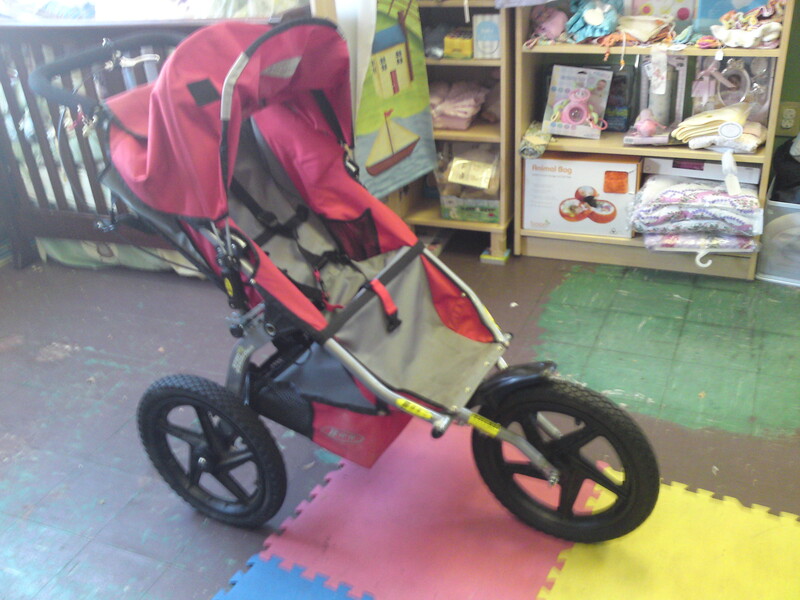 – Red BOB stroller, only been used a few times. 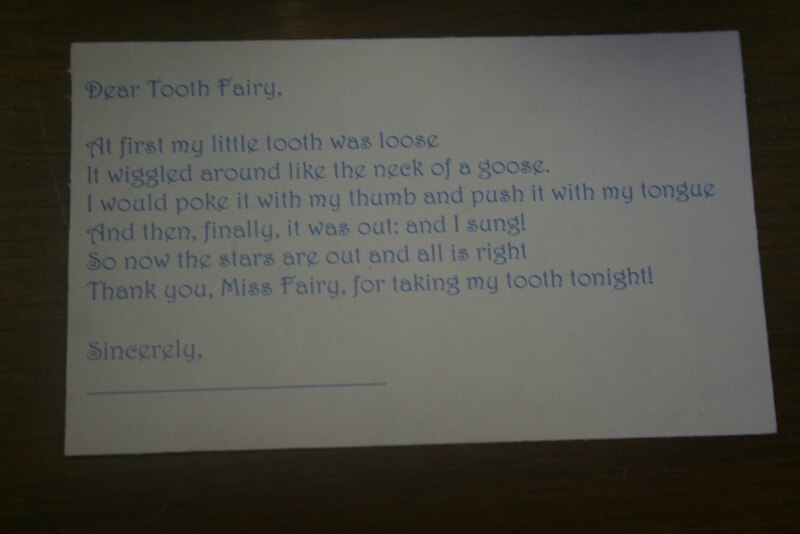 How great is this? 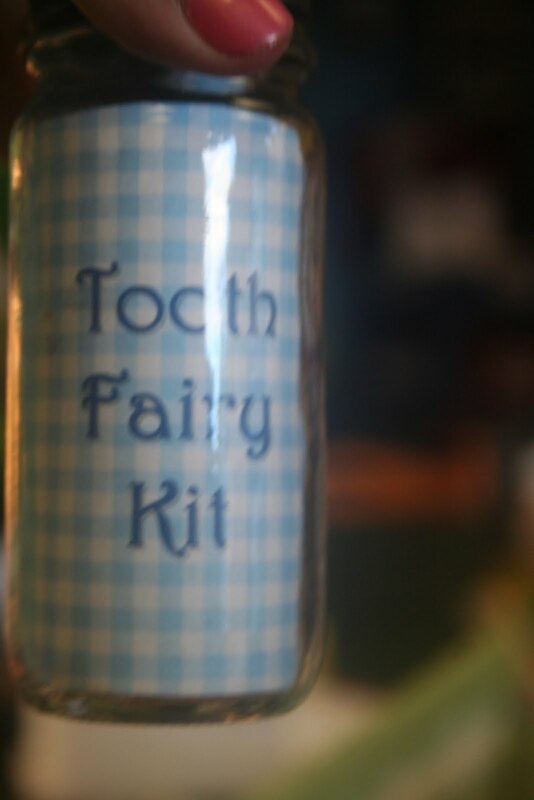 Crafter Jessie Stewart created these awesome gifts that include a noted to the tooth fairy, and a hand knit pocket to put the tooth in. $12, you can’t beat this unique gift for your little boy or girl.